If you’ve walked down South Franklin Street in the last few weeks, you may have noticed tourists passing by in style in the back of a dark green pedal-powered cart, pedaled by a driver in front. These bicycles, called pedicabs, are now providing human-powered rides throughout downtown courtesy of a new Juneau business, Alaska Pedicabs. Alaska Pedicabs was launched this spring by Juneau resident Kris McClure. McClure moved to Juneau two years ago looking for a change of pace after teaching English as a second language in his home state of Maine and backpacking through Nepal. During two summers selling tours on the docks, he and a friend saw an opportunity to start a business shuttling visitors from the cruise ships to and from downtown. McClure started researching pedicab companies, and found that although there are no other current operators in Alaska, the conditions were favorable. He might have stayed in research and development mode for another year, but when a fleet of pedicabs became available in Sitka, the time seemed right. Buying the cabs used and bringing them to town on the ferry dramatically reduced the startup fees and enabled McClure to launch in the spring of 2016. This is not the first time pedicabs have rolled down Franklin Street. Hansom Boys Rickshaw operated in Juneau from 2006 through 2008, and before that, another company reportedly served the docks in the 1990’s. Thanks to the legal groundwork laid by Hansom, the city now regulates pedicabs as taxis instead of shuttles. This means McClure can pick riders up anywhere, rather than being limited to designated stops. The cab drivers are licensed just as any other cab driver, with a commercial driver’s permit. McClure and his partner Anna Chornyak (also from Maine) have been surprised by the enthusiasm and gratitude from their customers. Many are older, or have mobility issues, and would not have seen Juneau if it weren’t for the assistance of a pedicab. 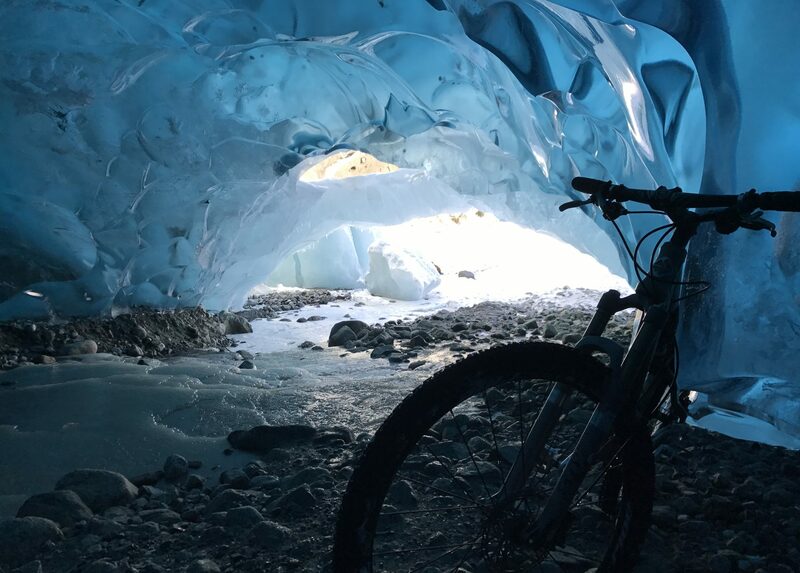 Visitors appreciate the opportunity to connect with an Alaska resident during their ride. Many like to hear McClure’s story of coming to Juneau and meeting Chornyak here, far from their native Maine. The business community has also been supportive, with restaurants like Tracy’s Crab Shack recommending them to customers. It’s exciting to see a new bicycle-oriented business here in Juneau. For more information, check out Alaska Pedicab on Facebook, or visit their website. Or head downtown, where you can catch a ride, rain or shine!